Spring is in the air and nature has been spoiling us with some awesome reef encounters. 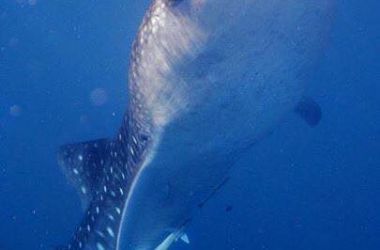 Can you imagine a 6 metre whale shark or a 13 metre humpback stopping by to say hello? A new landmark in the form of an amazing 11 metre (36 feet) artwork, Citizens Gateway to the Great Barrier Reef, by indigenous artist Brian Robinson now greets visitors on the Cairns Esplanade overlooking the waterfront. Designed to engage the world to support positive action for the future of the Great Barrier Reef, we caught up with Andy Ridley, CEO of Citizens of the Great Barrier Reef to learn more about this inspirational foundation and how we can all become “Citizens”. 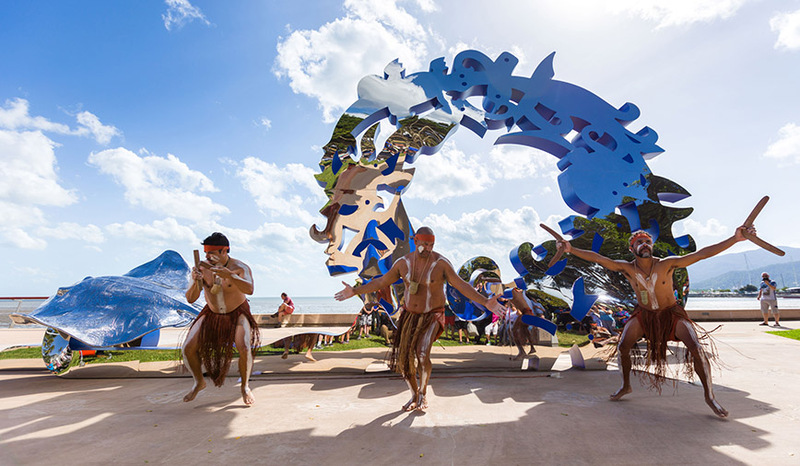 "Citizens Gateway" to the Great Barrier Reef artwork and Yirrganydji dancers perform at the launch, image courtesy TTNQ. 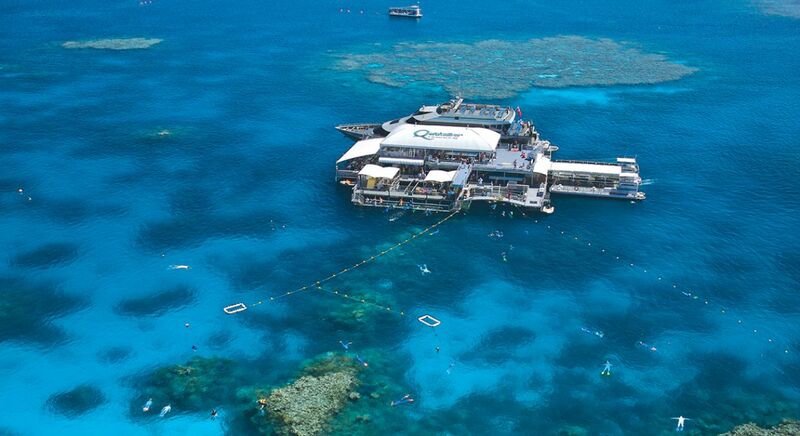 As always we’re delighted to showcase the health of the Great Barrier Reef in our Cairns and Port Douglas region with some awesome underwater vision and customer comments. With the official launch of Citizens of the Great Barrier Reef, we took the opportunity to catch up with CEO, Andy Ridley, who is also internationally recognised as the founder of Earth Hour, to ask a few questions about “Citizens” and how it came about. Co-inciding with the launch, an iconic public artwork, Citizens Gateway to the Great Barrier Reef, was unveiled on the Cairns Esplanade to reflect the vitality and beauty of the Great Barrier Reef. The artwork was created by Cairns Indigenous artist Brian Robinson. It is a 6 metre high and 11 metre wide creation featuring a wave of marine creatures and birds representing the biodiversity of the Great Barrier Reef. Citizens of the Great Barrier Reef is a social movement with a mission to engage a worldwide community of Citizens dedicated to taking tangible actions to secure the future of our amazing World Heritage Reef and the planet. 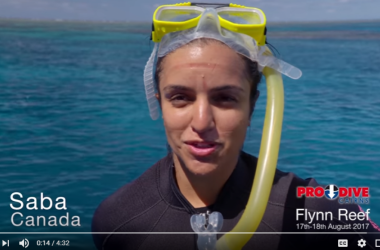 With sensational Spring conditions, we took the opportunity recently to have a chat with some customers and film the beautiful underwater conditions being experienced. 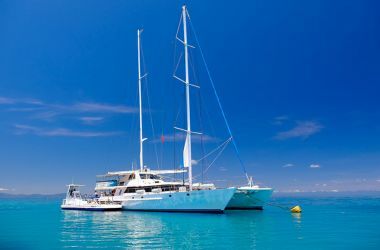 These two videos feature customer experiences from Silverswift, our adventure dive and snorkel vessel, and Pro Dive Cairns liveaboard trips, both of which travel from Cairns to exclusive reef sites around Flynn, Milln, Thetford and Pellowe Reefs. We hope you enjoy the vision! Green Island Resort, soaking up the sun's rays! Green Island Resort is going even greener with the introduction of solar energy to supplement the Island's power supply. In the first month of operation alone, according to the local supplier of the system, Hush Energy, the renewable power source has achieved a carbon offset of 2.22 tons which is an equivalent of saving 57 trees and is generating around 12% of the island's power needs. After significant environmental planning and with limited suitable roof space due to the island's dense tree coverage, in July the Quicksilver Group installed a 126 panel solar powered system on top of the island's powerhouse. The collection of panels is currently generating up to roughly 30 kilowatts of energy in peak periods and 4500kWh since commissioning. This energy is then powered back into the Green Island Resort grid, generating roughly 12% of the power needs. Performance can be monitored via an online program to measure how much energy the system is producing. Before the installation, the island produced power solely from diesel fuelled generators. 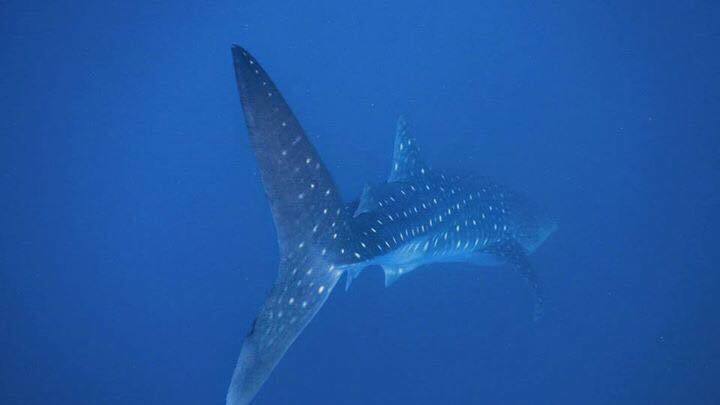 A graceful six metre whale shark made an unexpected but most welcome visit to our Port Douglas based dive and snorkel vessel Silversonic. 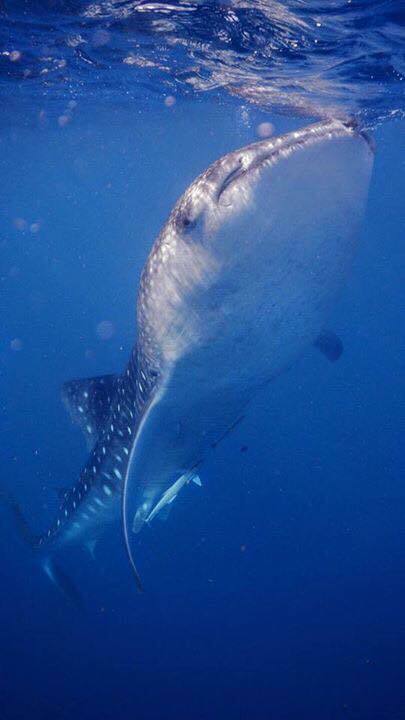 Special thanks to Silversonic divemaster Liam Platt for these awesome photos capturing the experience. 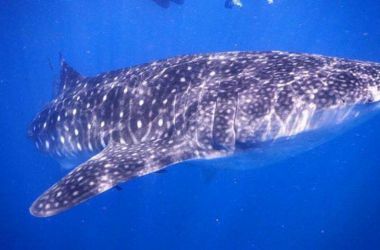 In recent years, sightings of whale sharks in the Great Barrier Reef have become more frequent. 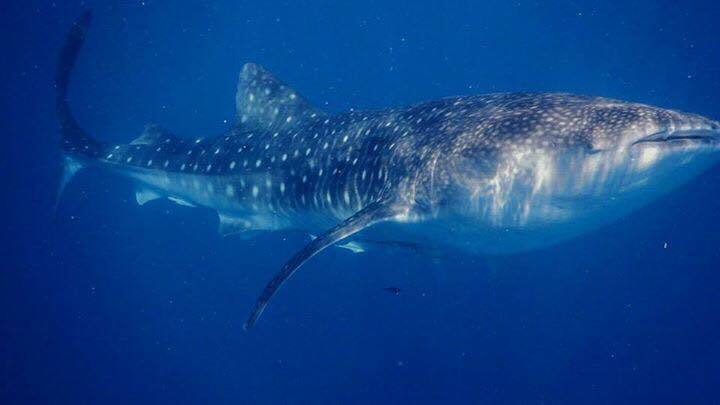 According to our Reef Biosearch marine biologists, whale sharks are certainly one of the top shelf viewing experiences on the Great Barrier Reef. 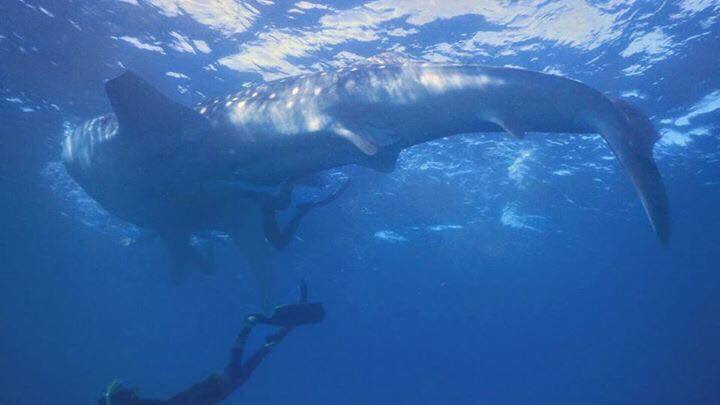 These harmless animals grow to over 15 metres (50 feet) in length and are encountered at the ocean surface around plankton blooms. 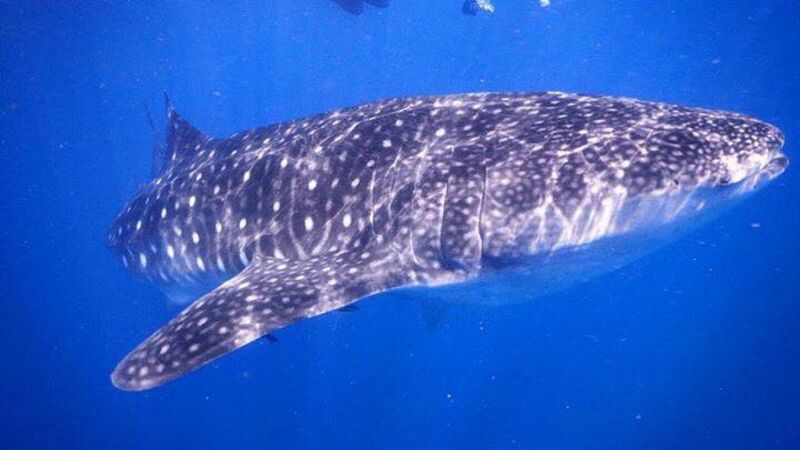 They open up their mouths (up to 2m wide! ), and use gill rakers to strain the water as they cruise along the surface. Interestingly, they have over 300 small teeth, but don’t use them! 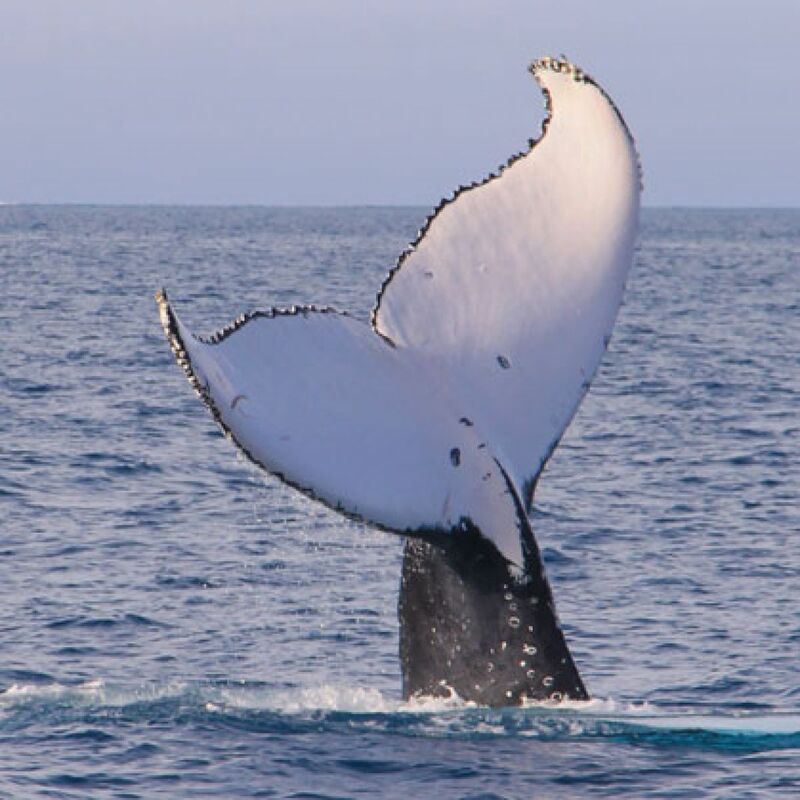 It’s been an active season for whale sightings across our reef experiences from the humpbacks on their annual migrations to the warmer waters of the Great Barrier Reef to inquisitive dwarf minke whale encounters for some lucky passengers. Here's a few awesome experiences to share with you. 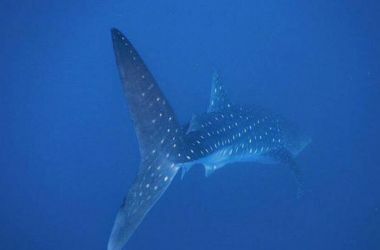 This lone male about 12-13 metres spent 20 minutes swimming around one of Pro Dive Cairns Scubapro vessels on the way to the Outer Reefs off Cairns. 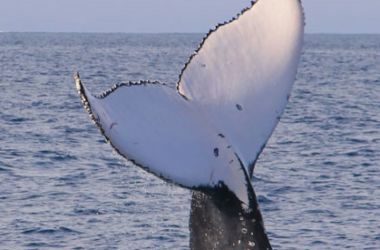 What an awesome way to start a 3 day liveaboard adventure! This friendly minke popped by to be a dive guide at Flynn Reef and further north to the Agincourt ribbon reefs, Silversonic and Poseidon passengers have also had some amazing minke whale encounters. Heroic actions by Ocean Spirit's experienced crew were able to contain a fire onboard a private yacht moored at Michaelmas Cay in July, all while the vessel's Victorian couple slept below decks unaware of the danger above. “The fire had developed rapidly and ferociously and within minutes had set fire to the fibreglass deck, hull and other accessories around it. My wife and I were inside the cabin unaware of the dangerous situation outside, until we became aware of disturbances outside. On reaching the cockpit I found Captain Jeff Brent and the crew of Ocean Spirit on deck armed with fire extinguishers, fighting the blaze. They fought the fire very efficiently and extinguished the blaze, perhaps only minutes before it would have taken such a hold that hand-held extinguishers could not have contained it. When the flames were extinguished, Captain Brent dispatched his crew and remained with us for nearly an hour, placing many buckets of water over the smouldering remains to cool them and ensure they did not reignite. At the same time his calm manner reassured us the situation was under control. He inspected every area and assured us he was not going to leave until he could be sure we were safe. As the generator and gas were decommissioned, he realised we would have difficulty making dinner so he returned to Ocean Spirit and came back with an impromptu meal for us. What more could a crew in our situation ask of this marvellous and thoughtful man? My wife and I feel you can be confident of a truly inspirational leader in Captain Brent and his selfless efforts to save us from harm, and save our yacht from disaster will never be forgotten. 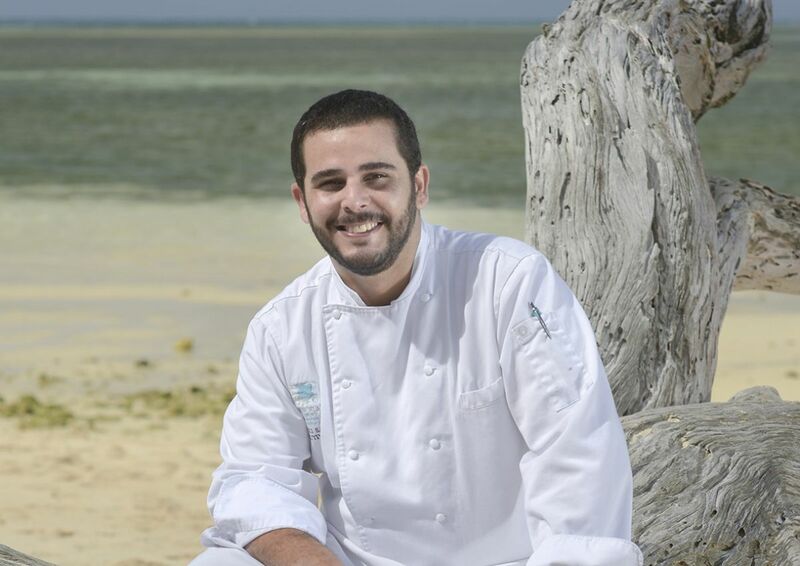 And then he left quietly, wanting no more than to know we were safe...."
From Israel to London’s high end Michelin Star restaurants, Executive Chef Shuki Salem is bringing an international flavour and inspired by local produce to Green Island Resort’s culinary experiences. Chef Shuki grew up in Israel and after his military conscription was accepted into university to study law. 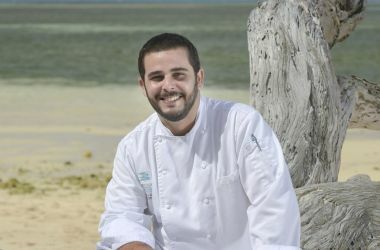 But Shuki had bigger dreams and enrolled in Condon Bleu Culinary Arts School in London where he spent the next seven years in high end Michelin Star restaurants. 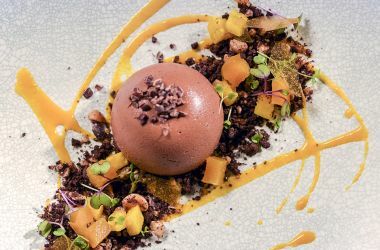 Prior to moving to Australia with his wife and 2 small children in 2013, Shuki was Executive Chef at a luxury boutique resort in Cyprus and has been Green Island Resort’s Executive Chef for three and a half years. Shuki said, “Since being on Green Island my style has changed and evolved after working with and being exposed to local, native ingredients. 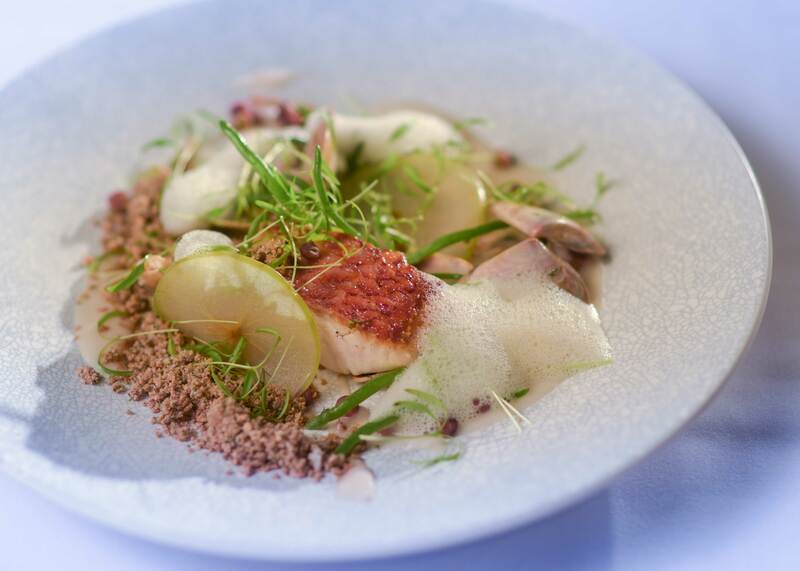 I want to bring the Great Barrier Reef and local Australian flavours to life on the plate. I love incorporating the elements, everything is made from scratch and it is how you approach the food and keeping the integrity of the dish. The detail is what I love – it is not about the food and the garnish, it is the experience of the bite. One of my favourite dishes on the menu is the Reef Snapper. 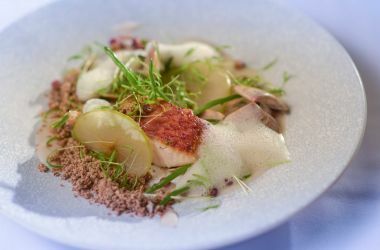 The snapper is caught locally and the edible sand and the lemongrass foam were created by using molecular gastronomy techniques. Adding the Karklla, a native sea plant, I am recreating the beach, coral and waves. 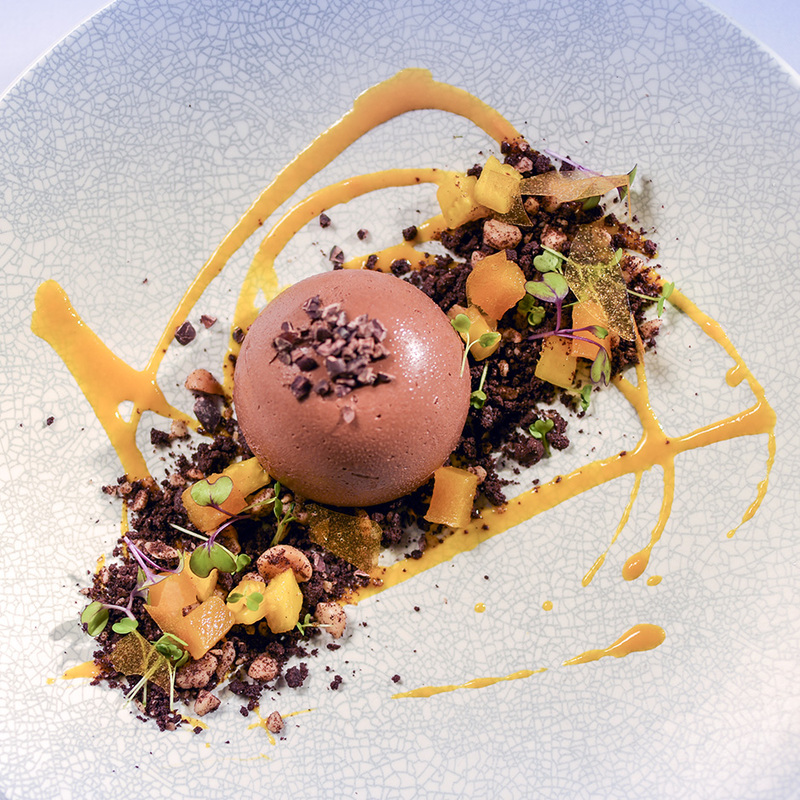 My other favourite is the dessert we call The Tropical Rainforest, which is the sun filtering through the trees to the rainforest floor below, consisting of ingredients such as chocolate macadamia soil, mango glass and passionfruit. Another unique and enjoyable part of my career is that I work with my wife Carolgi, who is our Pastry Chef and the creator of our desserts. We met at the Condon Bleu School fifteen years ago and have been working together for the last eight years. Shuki leads a multi-national, dynamic and highly experienced brigade of chefs with high end dining experience. 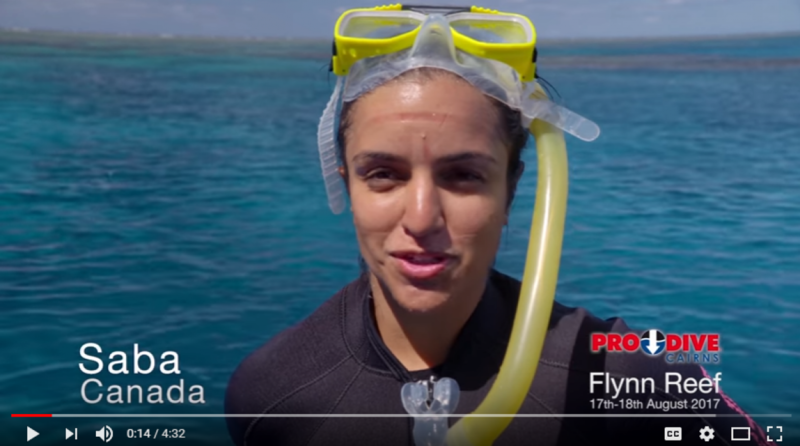 Pro Dive Cairns has designed two new introductory products aimed at helping first time scuba divers and snorkellers gain confidence and ultimately maximum enjoyment of their Great Barrier Reef experiences. 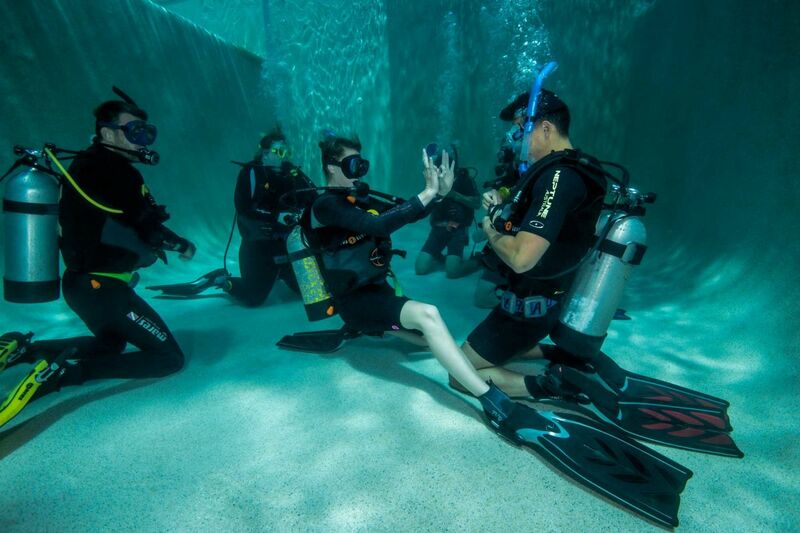 Discover Scuba Pool Dive is a 90 minute session where you will learn basic dive skills and experience what it’s like to breathe underwater. After some basic theory, it’s into the pool for some skills practice and the excitement of your first taste of scuba! 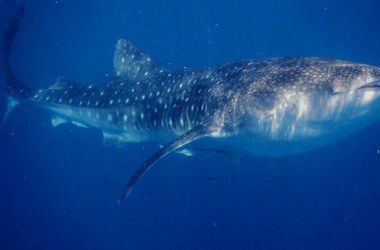 Once you’ve completed your Discover Scuba Pool Dive session, you are not certified but will have the confidence to take the next step of participating in an introductory scuba dive in the waters of the spectacular Great Barrier Reef. Pro Dive Cairns’ professional PADI instructors will help you maximise your dive experience so you’re relaxed and ready to take the plunge. You might even catch the scuba bug and join Pro Dive Cairns’ popular 5 Day Learn To Dive Course! 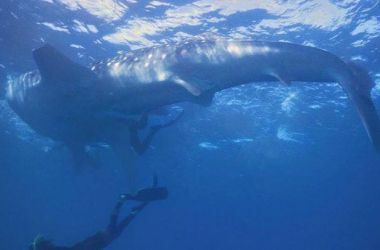 Introduction to Snorkelling is a 45 minute session and is perfect for those who have never snorkelled before, would like to become a more confident snorkeller or learn some expert tips before heading out to the Reef. With professional instructors and small group sizes, you can learn how to use snorkel gear, breath comfortably and practice snorkelling in a supervised environment. Soon you will be drifting over mesmerising coral gardens and colourful marine life with ease! 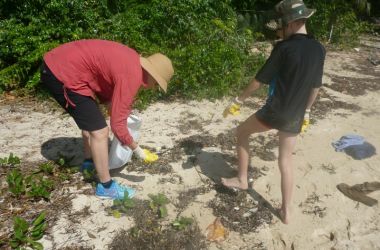 With a wonderful initiative to protect our environment, Grade 5 Gordonvale State School student, Liam Barnett, conducted a litter collection day on Green Island. 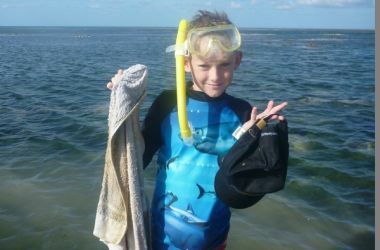 As part of his school project, he is also keen to educate visitors to prevent hats and other belongings from blowing into the ocean and potentially damaging the reef. 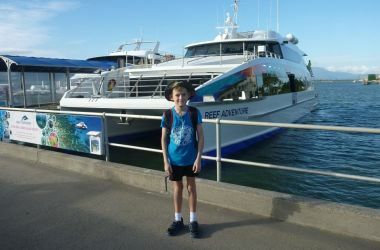 Liam said, “I would like to thank you for letting us go to Green Island as part of my litter reduction project. It was much appreciated and very helpful. Firstly we went on the glass bottom and saw six hats out near the lead markers, this information will help me with my survey. 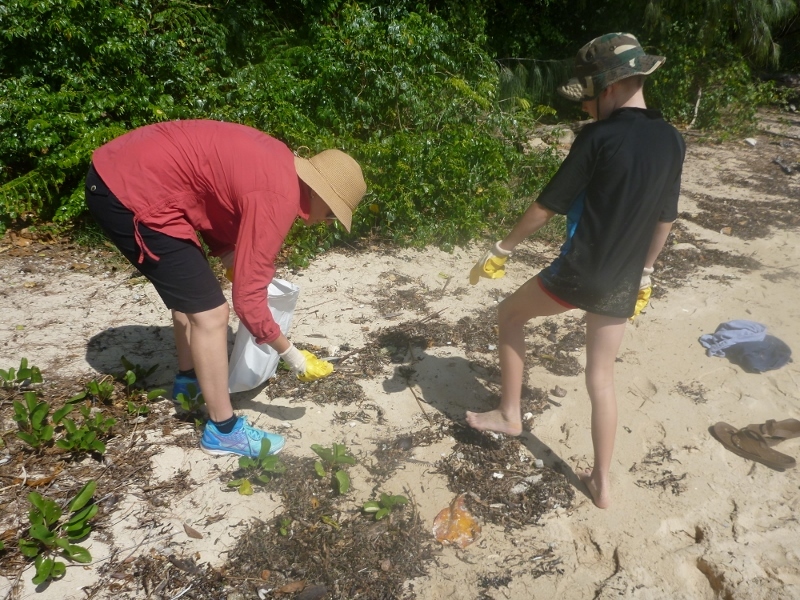 Secondly, we collected rubbish from the beach area. 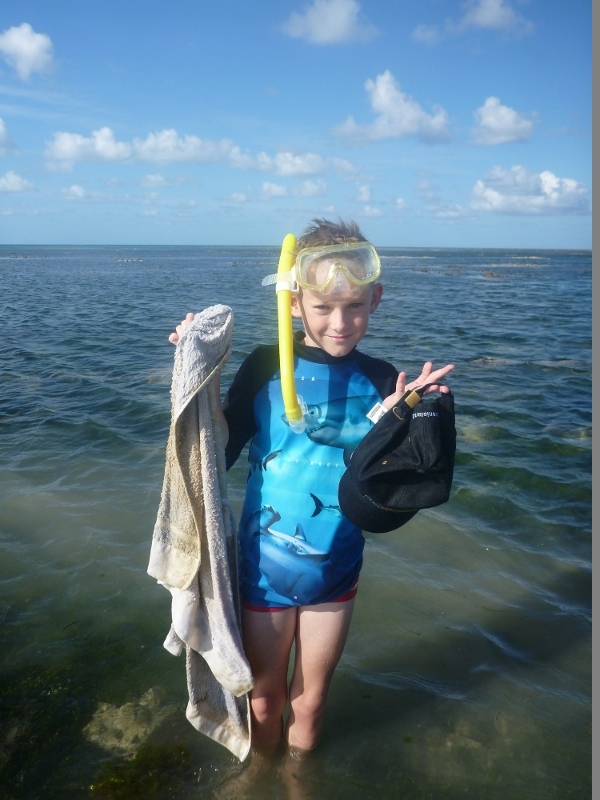 The most surprising thing we found was a large towel and a Green Island cap under the jetty. We commend Liam for his great environmental initiative and look forward to learning more about his “Hold on Tight” project to stop hats being blown into the water. 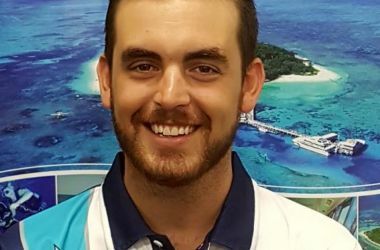 Liam sets a wonderful example and his efforts are certainly appreciated in helping to keep Green Island and the Great Barrier Reef beautiful. 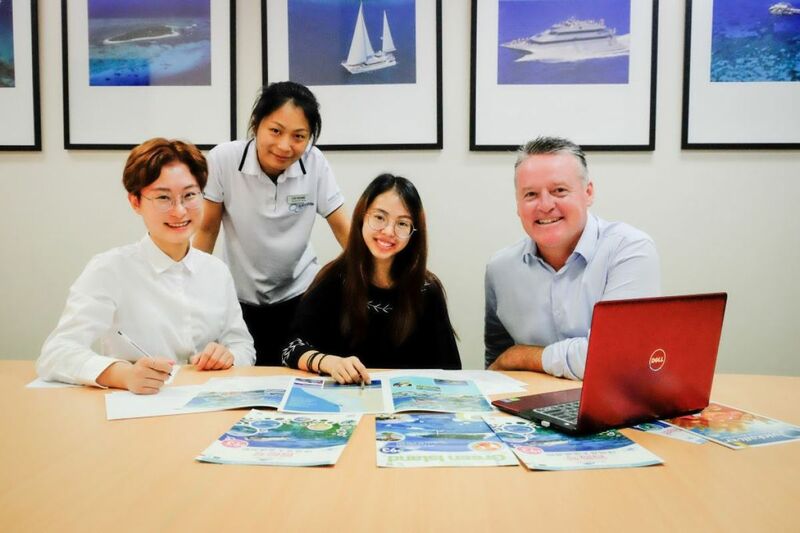 Two Chinese university students studying Hospitality Management have enjoyed experiencing and learning about Great Barrier Reef tourism as part of a 4 week study tour program to Cairns. The Quicksilver Group was a host business for the Shanghai Second Polytechnic University students providing a two week internship in which they gained an understanding of the products, social media, marketing and customer service skills. During their time with the Quicksilver Group, Miss Liu and Miss Qiyan were able to experience day trips to Green Island and the Outer Barrier Reef Platforms in both Cairns and Port Douglas with our Asia Sales Manager, Catherine Wang, and also gained work experience with our Quicksilver and Great Adventures Customer Service Managers. 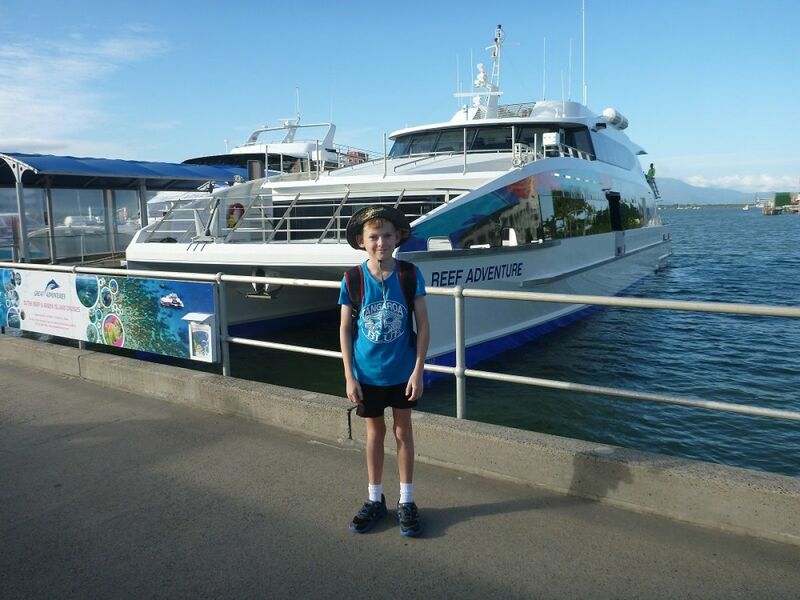 A group of intrepid explorers tasked with finding some of the Reef's "Great 8" had a wonderful time aboard our Port Douglas based dive and snorkel vessel, Silversonic. 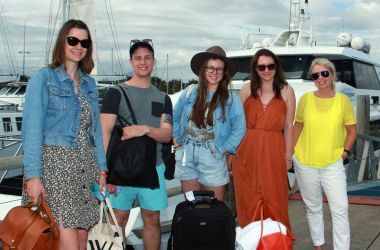 Australian and UK media including Grazia UK, Yahoo 7 Travel and Newscorp joined our aquatic safari! The Great Barrier Reef’s Great 8 include clown fish, giant clams, manta rays, maori wrasse, potato cods, sharks, turtles and whales. Visiting 3 sites on the Agincourt ribbon reefs, our explorers dived and snorkelled and were able to find Nemo as well as turtles, sharks, giant clams while the elusive maori wrasse proved camera shy on the day. We were delighted to welcome actress and World Vision Ambassador Kimberley Crossman aboard Poseidon. @kimcrossman "Had the most epic day on Poseidon exploring the Great Barrier Reef. I went down deeper than I ever have before on a dive and was in complete awe of how beautiful everything is down there. We must do everything can to keep the corals alive and protect our oceans!" Kimberley is best known for her role on New Zealand soap opera, Shortland Street and now lives and works in Los Angeles. 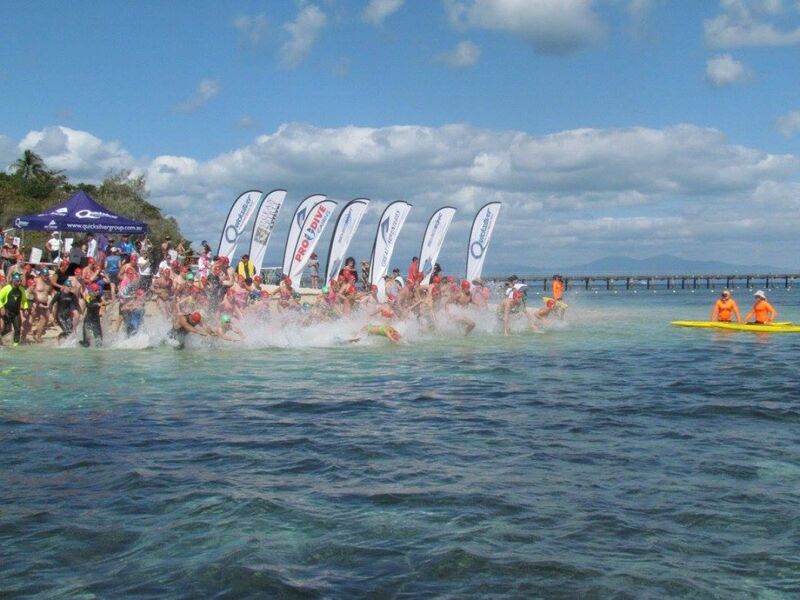 With picturesque conditions, over 130 enthusiastic swimmers of all ages took to the clear waters of Green Island for the Great Adventures Green Island Ocean Swim on Sunday 27 August, a wonderful community event now in its 12th year. 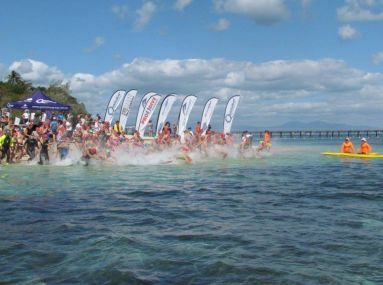 Swimmers competed in 500m, 1.5km and 3km events while the fun “Nippers” swim for the under 12 year olds saw 12 enthusiastic future ocean swimmers enjoy a taste of swimming in the Great Barrier Reef. We were delighted to welcome swimmers from across the region and country including Townsville, Gold Coast, Sydney, Melbourne and even as far as Canada. Talented young Cairns swimmers took out first place in all categories with the exception of the Women’s 1.5km swim which was won by 25 year old Kelly Marquenie from the Gold Coast. 14 year old Zac Tabuai won the men’s 3km swim, while 14 year old Marcus West won the men’s 1.5km swim. 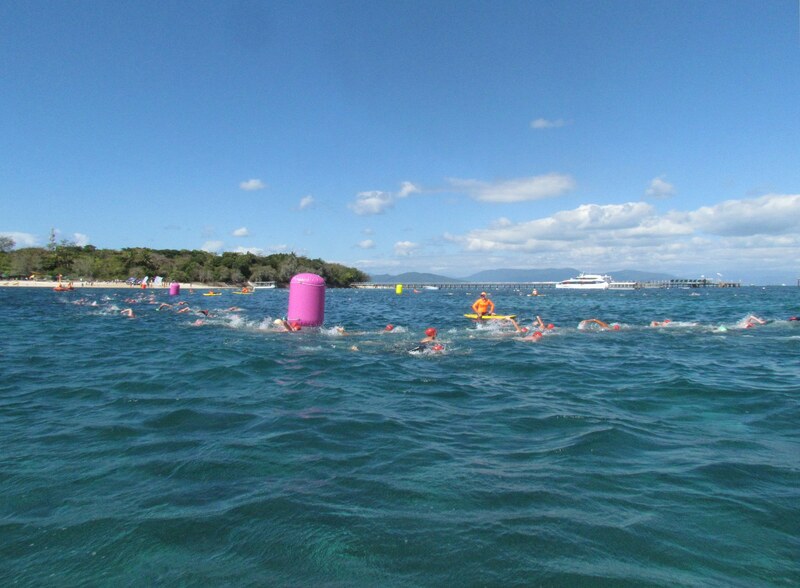 The winner of the 1.5km women’s swim was 14 year old Asha Stevens and the 500 m swim was won by 13 year old Jasmine Olds. 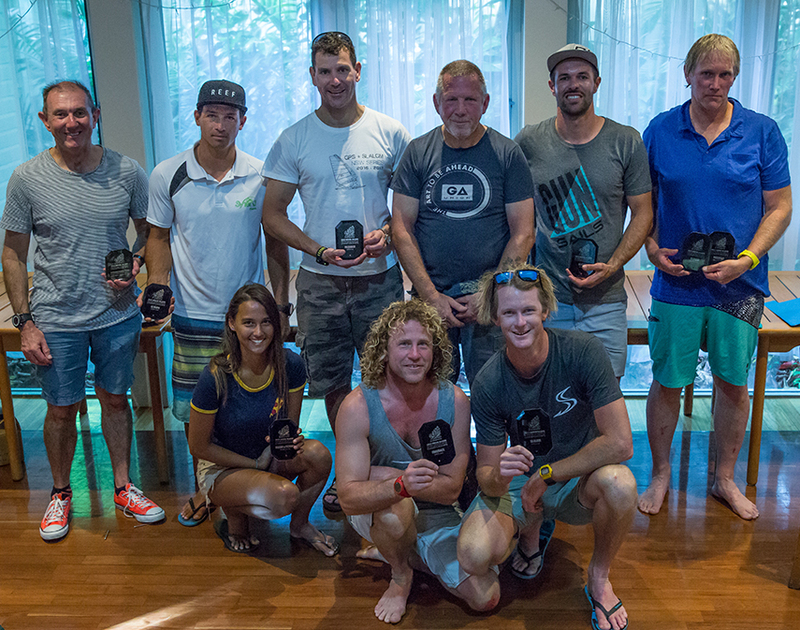 The fifth Green Island Nationals Annual Australian Windsurfing Championships welcomed top racers from all around Australia, New Zealand and New Caledonia to contest short, sharp slalom races and the gruelling 1 hour GPS record. 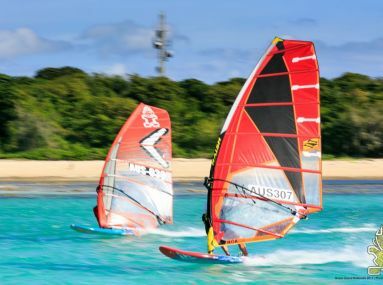 Conditions were sensational with perfect windsurf breezes across the reef flats at the top of the Island allowing excellent competition every day. Top place in the Blue Riband Slalom was taken by French ex-pat Max Gaubert and from Noumea’s Alex Rouys. 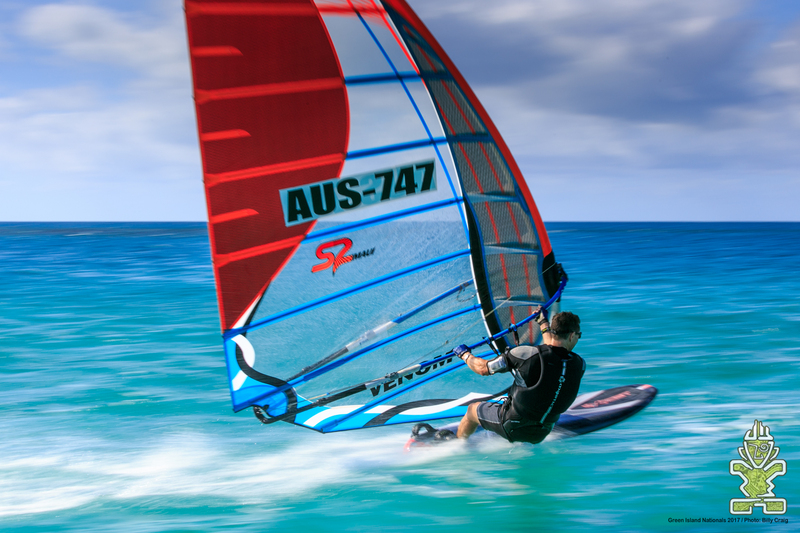 Top placed Aussie was Cairns’ Ben Newson, who in 3rd position also claims the title of Australian Slalom Champion. In the GPS 1 hour Freerace, Newcastle’s defending champ Byron McIlveen defeated former title holder Tasmanian Kaleb Smith in an insanely tight battle separated only by metres after 5 hours and 250km of racing over the five day contest. Cairns' Kelly Morgan sailed competitively scoring 4th in GPS Freerace and 10th overall in Slalom. 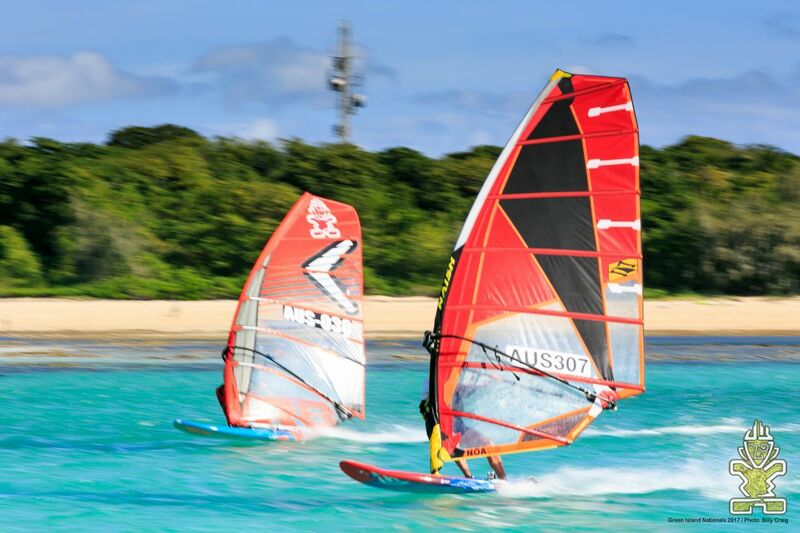 Green Island Nationals has grown to become an exceptionally popular and positive event within the windsurf community, gaining global interest and exposure from the first 2013 event. Great Adventures and Green Island Resort provide significant logistics and event support each year, and competitors and organisers alike were again truly appreciative of the friendly spirit, can-do local attitude and positive assistance from all stakeholders which makes this event so special and enjoyable. Everyone is already looking forward 2018. Photos courtesy of Billy Craig. There is nothing like seeing a graceful marine turtle in the wild. The Great Barrier Reef is home to six of the world’s seven marine turtles, such as the common Green, the small omnivorous Hawksbill and the increasingly rare Loggerhead. Turtles can be found throughout the year, but most activity is centred around the warmer months when they get ready to breed. 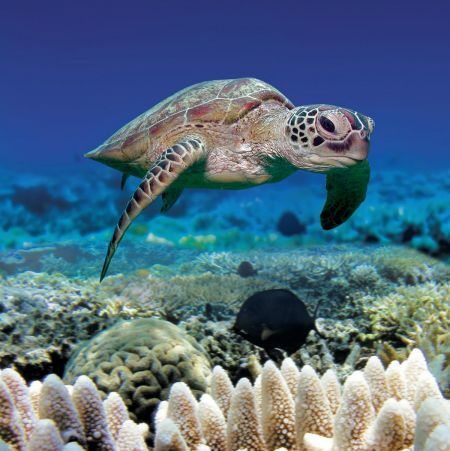 The Green Sea Turtle (Chelonia mydas) is found in the tropical waters around the Great Barrier Reef. They have a smooth, high-domed carapace (shell), are olive green in colour, with occasional brown, reddish-brown or black highlights. Hatchlings have a black carapace with white margins around the carapace, flippers and on the bottom of the shell. They are found most commonly in seaweed-rich coral reefs and around inshore seagrass pastures. They are herbivores and live on a mix of algae, seagrass and jellyfish. 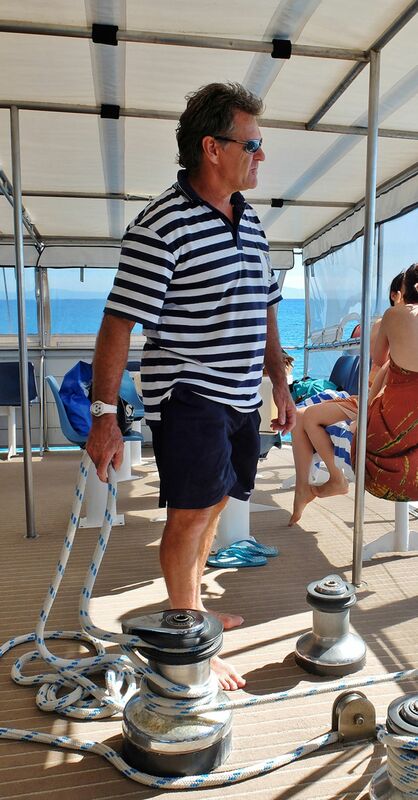 Steve Pinnell is our new sale executive representing our dive and snorkel adventure vessels, Silversonic and Poseidon in Port Douglas and Silverswift based in Cairns. 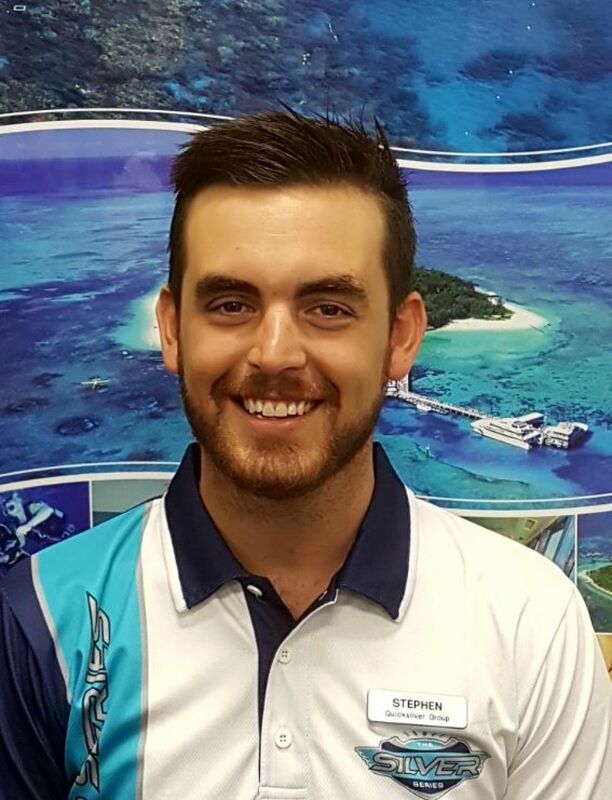 With a background in tourism in Cairns and Auckland, Steve joins us from Flight Centre. A dive enthusiast, Steve completed his dive master course with Pro Dive Cairns and has done over 200 dives on the Great Barrier Reef. You could say he loves his office! 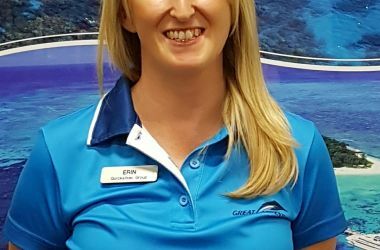 Erin Chamberlain is our new Great Adventures Sale Executive in the local Cairns and Northern Beaches market. Originally from the UK, Erin came to Australia on a holiday and never left! 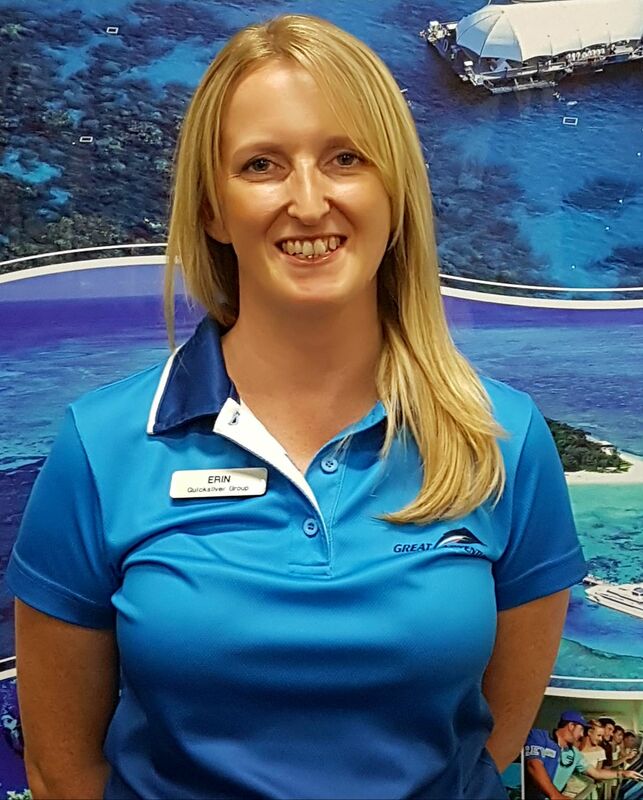 Erin has had a background in hospitality, tour desk sales and retail management and joins us from her previous role at Cairns YHA Hostel where she became very familiar with the Quicksilver Group's wonderful range of reef experiences. Epic Day at Agincourt Reef - Thank you Quicksilver! Couldn't get enough of the day! The boat trip was fantastic, great range of activities for any level of aquatic ability, informative talk by a marine biologist, hospitable staff and tasty food. And that was all before the Reef! Even good pictures cannot do justice to reality. This is an amazing day. We must look after our reefs and these trips make us all aware of how important this world heritage site is ... One day is not enough! Thank you Quicksilver! Lycra Suits: Lycra suits are included on all reef products with the exception of Green Island day cruises where they can be hired from the Dive Shop if required.